We present a detailed study of the optical second harmonic (SH) generated in samples of centrosymmetric muscovite mica. Samples with thicknesses ranging from 30 to 300 μm have been investigated in a transmission normal-incidence geometry. We found a strong dependence of the polarization-dependent SH signal on the sample thickness. In particular, in some of the thickest samples, the SH signal is strongly enhanced. This signal amplification is not monotonically increased with thickness, but it varies erratically. These findings show that under the present experimental conditions, quadrupolar bulk second harmonic generation in mica becomes dominant on the SH generated from the surfaces. 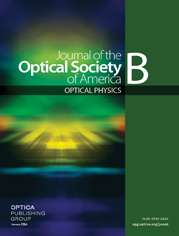 The large variability of the SH signal with the variation in thickness is then ascribed to partial optical phase-matching effects, controlled by the mica birefringence. In order to corroborate this hypothesis, a detailed theoretical model accounting for the nonlocal response and anisotropy of a generic birefringent crystal has been developed. The predictions of our model are found to be in excellent agreement with the experimental data. a In the second column, the sample thicknesses are reported.